We often oversimplify passion in grandiose statements - you’ve probably seen plenty of articles entitled “How to Find Your Passion”. They aren’t always helpful and sometimes they make the process seem more daunting. The idea of one grand passion can make it feel like there’s one great calling awaiting you, and if you haven’t found it then you’ve missed the boat. 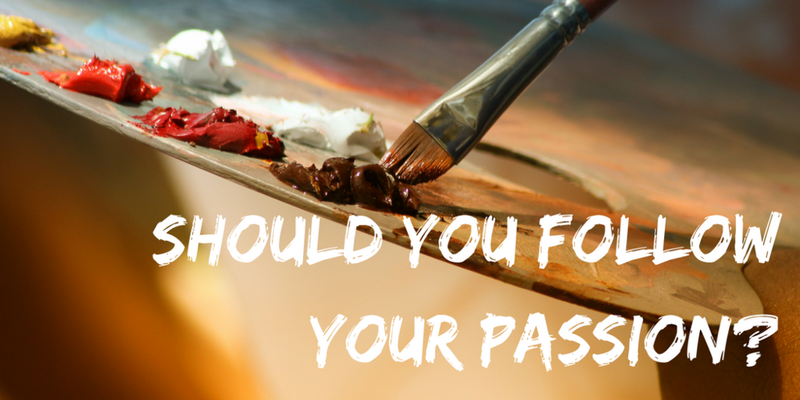 What if you don’t feel like you have one great passion, or what if you have more than one? We all experience passion in different ways. In this session we’ll examine what passion really is, and how you can use it to find a greater sense of meaning and purpose in your life and work. - what interested you about the event today? OR – tell us something you’ve enjoyed doing over the past couple of weeks? - Where are you with finding a sense of meaning and purpose in your work and life? - For those who came to the June meetup on curiosity, did you set yourself any goals? - Have you made any changes since the last session? - As energy & excitement. We all have things we feel more or less energy or motivation for. We all have things that excite or motivate us. In this sense, there might not be one singular or life-defining passion, but many different tugs towards one thing or another. What do you have energy for? Where do you feel most motivated? What do you get excited about doing? In this sense passion is aspiration and the desire to achieve more or to become more. Not to be confused with greed – wanting to have more. Ambition and aspiration are often what set us on a path to self-improvement and growth. What do you reach for? / What do you strive for? Are there any ambitions you used to have? We’re talking about creative, rather than destructive, anger here. Creative anger drives you to make a positive change, to build or invent, to make things better than before. Destructive anger is the opposite: it makes you want to tear everything down, to burn bridges, to cause harm. Creative anger can come from a sense of frustration (i.e. something doesn’t work as it should), injustice (e.g. social, political, racial, gender-based), repression, restriction, and many other circumstances. What makes you feel angry or frustrated? What do you feel is unjust? Where do you get a sense of creative anger or energy? Break into two smaller groups of 3-4 people if there more than five people. Discuss passion in terms of the three areas above: energy, ambition and anger. Explore these questions. You don’t have to answer or discuss all of them. Use them as prompts and take the questions that are helpful to you. - Which questions were helpful to you? - What came up in your discussion? - What did you notice – did anything surprise you? - Is there anything that you want to give more thought or attention to? Passions can be changeable. What you get excited or motivated about one month might not endure into the next. So look for patterns and consistencies, and be prepared for things to change over time. Passion and energy can ebb and flow and there are other rewards - like intellectual challenge, mastery, or work that contributes to the good of others – that will contribute to your sense of purpose. In short, passion is one piece of the puzzle, albeit an important one to pay attention to. Following today’s discussion on passion, name one thing you want to try or explore in the next month. Be specific about it, and write it down.